The Must-Have Items to Build Your Own Family Disaster Kit #Infographic ~ Visualistan '+g+"
You never know when disaster might strike. 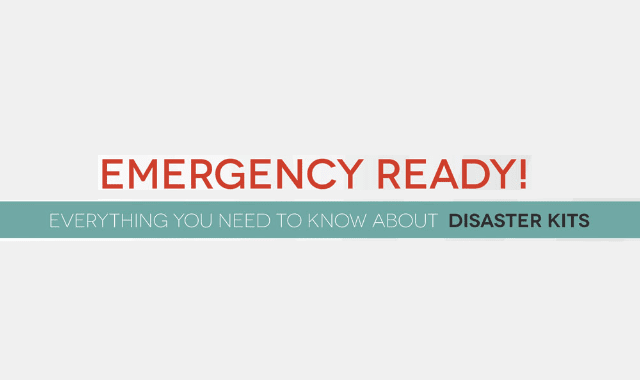 If there is an emergency in your area, you need to make sure that you are prepared in every way. Being prepared simply means being ready or equipped with all the supplies that you may need in case there is a disaster or emergency. The best thing to do is to store your supplies in an emergency preparedness kit that is easy to carry and it should be one that you can take with you in case you need to evacuate or use at home. If an emergency takes place in your community, it may take some time for emergency workers to reach you. You should ensure that you are prepared to take care of yourself as well as your family for a minimum of 72 hours. Contrary to what you may think, it is quite quick and easy to become better prepared to face a wide range of emergency situations – anytime, anywhere.